The fullproof arrangements regarding ‘Shivalik Adventure Drive’ have been made and the stage has been set for the grand occasion. This novel drive is being organized by the Forest and Wildlife Preservation and Tourism & Cultural Affairs Departments with the active assistance of Gerrari Offroaders Chandigarh as part of the initiative of the Punjab Government to give huge boost to tourism in the state. Disclosing this, Chief Conservator of Forests Mr. Dharminder Sharma said that the Tourism and Cultural Affairs Minister, Punjab, Mr. Navjot Singh Sidhu would flag off the adventure drive from omaxe new Chandigarh at 9.00 AM tomorrow. He also said that this adventure extravaganza would see the participation of around 60 eminent participants from across the country.Mr. Sharma further disclosed that the rationale behind this drive is to encourage 4x4 offroading in the shivalik region so as to popularize it amongst youth. He also revealed that no harm would be allowed to come to the natural resources and trees falling in the forest area. Divulging more, he said that the amount collected through the registration of the participants would be disbursed amongst the rural forest conservation committees of the villages of shivalik region. He also detailed that 2 routes of the shivalik region would be used in the drive where the participants would be able to enjoy the captivating beauty of the shivalik hills and appreciate the landscaping as well as see the forest area from close quarters. He further said that the participants in the drive would select through a lucky draw 4 participants who would enjoy a tour of Dubai, Bali, Kualalampur with free accommodation facility. A special prize has been reserved for the female participants. On the occasion, a participant Kabir Singh Waraich who has participated in numerous rolling all India competitions and is a champion of the Rain Forets Challenge of 2014-15 held in Goa, appreciated the efforts of the Punjab Government to organize this adventure drive and said that earlier, the adventure lovers had to go to Goa and Maharashtra but now with the exploration of this area close to Chandigarh would be a boon for adventure enthusiasts. Another participant Mr. Gurmeet Virdi, winner of the All India Competition in 2016-17, also lauded the initiative of the Punjab Government. 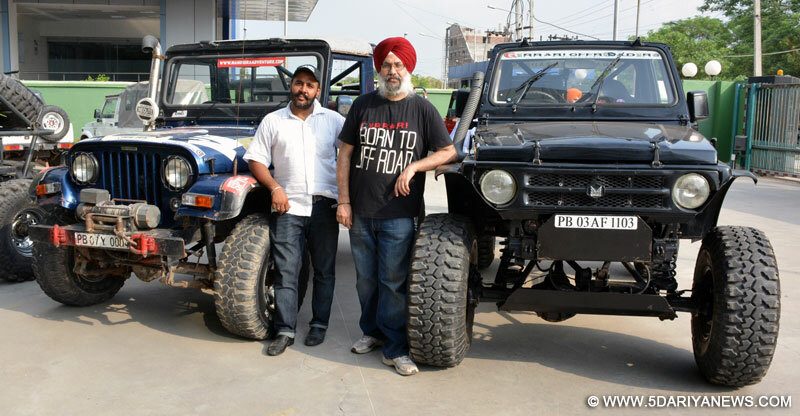 Member of Gerrari Offroaders Mr. Kripal Tung said that the State Government has given a big boost to the Offroading with this Shivalik Adventure Drive and was confident that this drive would also prove to be a great tonic for the Punjab Tourism sector. Woman Police Stations are proving beneficial for resolving domestic disputes.